Oscar – the name on everyone’s lips in Hollywood at this time of year. Once again on February 22, nominees will stroll down the red carpet at the Kodak Theatre to attend the 81st Annual Academy Awards. There, the phrase, “And the Oscar goes to…” will be repeated numerous times, but who originally coined the term, Oscar? Depending on who you talk to, it could be any one of several suspects, but first, some history. 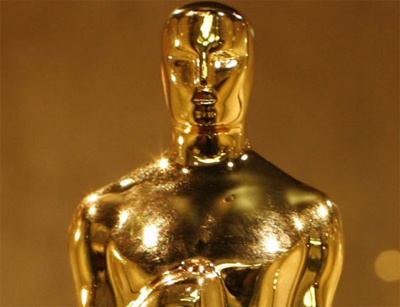 Oscar’s parents, the Academy of Motion Picture Arts and Sciences was chartered on May 4, 1927, when 36 film industry leaders met and organized the non-profit corporation dedicated to improving the artistic quality of the film medium. A week later on May 11, a banquet was held in the Crystal Ballroom at the Biltmore Hotel where more than 300 gathered, and Douglas Fairbanks, the Academy’s first president, presided. Film industry leaders such as Louis B. Mayer, Joseph M. Schenck, Will Hays, Mary Pickford, Cecil B. DeMille, Frank Lloyd and Conrad Nagel gave their support. Inspired by the evenings proceedings, MGM art director, Cedric Gibbons began sketching a form on the tablecloth (some versions say a napkin). The figure was a brawny man standing on a reel of film gripping a crusader’s sword. Gibbons transferred the sketch to paper and it was given to sculptor George Stanley, who molded the trophy in clay. Since then very few changes have been made. “They are a little distorted now because the original mold has been used so often,” Stanley said in 1957. The sculptor later designed and worked on the three well-known statues at the entrance of the Hollywood Bowl. As with many actors, Oscar’s birth name would have been hard to fit on a marquee – the Academy of Motion Picture Arts & Sciences Award of Merit – more than a mouthful. So perhaps this fated him to a moniker, but just how Oscar received its unusual name is debatable. Several Hollywood notables have claimed the distinction of originating the name. Two-time Oscar winner, Bette Davis believed that she created the term Oscar to describe the golden trophy. “I am convinced that I was the first to give the statuette its name when I received one for my performance in Dangerous, made in 1935,” Davis said in 1955. 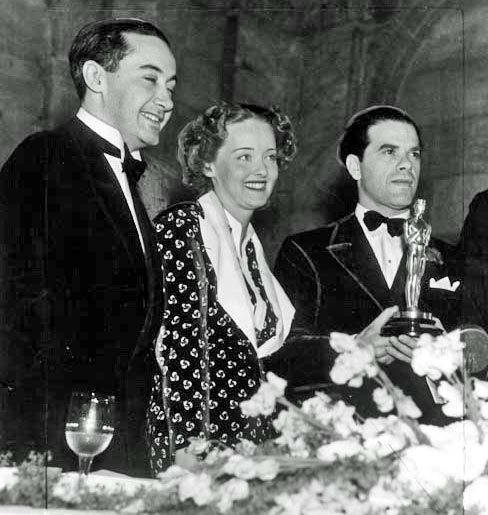 Bette Davis and her then-husband, Harmon Oscar Nelson, Jr.
Was the coveted award named for him? Davis, knowing there were other petitioners to the name, hinted that she would be willing to resort to fisticuffs to support her contention. Still other stories say that John Barrymore first coined the name – in the early days Oscar was reportedly a facetious term. Animation pioneer, Walt Disney has also been quoted as thanking the Academy for his Oscar as early as 1932. However, the person who may have the best claim for originating the name is columnist Sidney Skolsky. Many references credit Skolsky for using the term “Oscar” in a 1934 column in reference to Katharine Hepburn’s Best Actress award for Morning Glory (1933). Still another names Skolsky as the anonymous reporter who supposedly overheard Margaret Herrick christen the statue in 1931; but since Skolsky had not arrived in Hollywood until 1932, that part is unlikely. “In the cinema industry the small gold-washed statuettes which the Academy of Motion Picture Arts and Science annually awards for meritorious productions and performances are called ‘Oscars,’” the article stated. 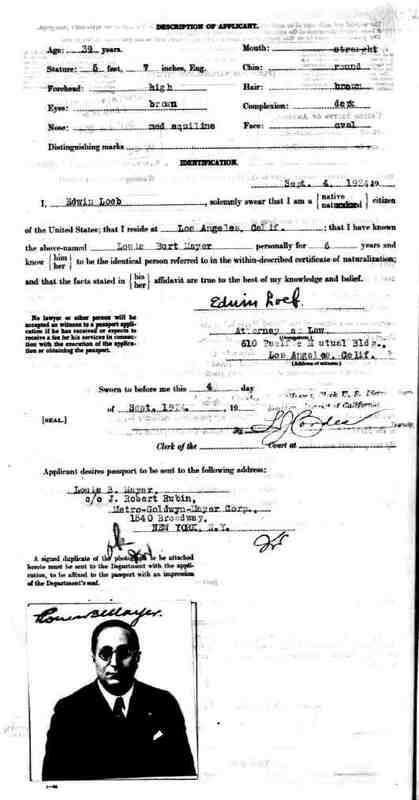 This also negates Bette Davis’ claim of naming the award when she received hers in 1936 – by then the term Oscar had already been in use for two years. Whatever its origin, it definitely will not to be an issue when this years nominees walk the red carpet in hopes of getting their own Oscar. When filming of The Arab was completed, Alice returned to Hollywood, but Rex stayed to establish a studio of his own on the French Riviera, near Nice. It was far enough away from Hollywood and Louis B. Mayer for Rex to work without interference. Rex Ingram would never make another film in Hollywood. 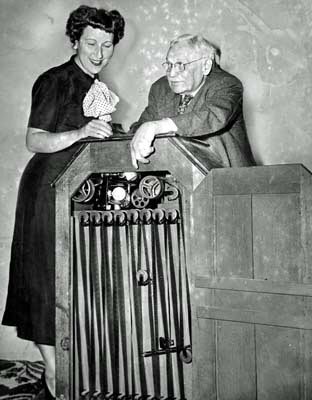 Rex needed time to prepare his next film, Mare Nostrum (1926), and advised Alice to return home and make a few films there. “Never would I work for anyone else…,” she once proclaimed. But Rex assured her that she would have only the best directors, and besides, the four films she would make would bring in a nice salary. The preparation on Mare Nostrum would take more than a year and during that time Alice made The Great Divide (1925) and Confessions of a Queen (1925) for the newly formed MGM. The remaining two films were on loan-out to Paramount for director Henry King called Sackcloth and Scarlet (1925) and Any Woman (1925). Alice was not alone in her feelings. Rex also felt alone when Alice was away. “I want her to stay with me,” he told a friend. “It is the only way that I find a chance to be near her. If she were to go to another company, it would mean we would see practically nothing of one another.” Even though there would be periods when they were apart, and one more picture with another director, the remainder of her career would be with Rex. Mare Nostrum was now ready, and Alice sailed back to Nice to begin filming. The film was based on Vincente Blasco Ibanez’s novel of espionage during World War I. The role of Ulysses went to Antonio Moreno, another Latin heart-throb of the day. The Ingram’s adopted son, Kada-Abdel-Kadar, played Ulysses as a child. Even though it was a hard shoot, with many technical problems, Alice rose to the challenge. In one scene, she had to make love to Antonio Moreno in front of an aquarium containing an octopus. The thought of trying to be amorous with a big fish by the side of her head unnerved her. “You’d better get rid of me now because I’m not going to be able to do that aquarium scene,” she told Rex. Mare Nostrum was a box office and critical success. Picturegoer magazine declared the film “exquisite and the acting brilliant…” Even thought Photoplay disliked the film and called it a “great dramatic disappointment,” they selected Alice Terry’s performance as one of the six best of the year. The Ingram’s were now residents of Nice. Rex refused to make more pictures in Hollywood with Louis B. Mayer breathing down his neck. 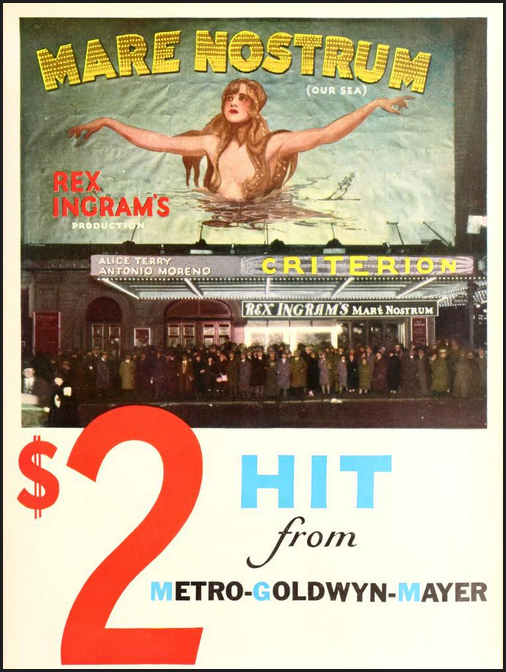 Fortunately Rex had an ally of Nicholas Schenck, president of MGM, who arranged to have the Victorine Studios modernized and eventually it became the property of Rex Ingram. Rex Ingram would make one more film before he too would retire. Ironically, he cast himself as the male lead in Baroud (1932), a talking picture which Alice co-directed. It was a dismal failure at the box office. Many times over the years, Rex would announce the making of several films, but they never materialized. 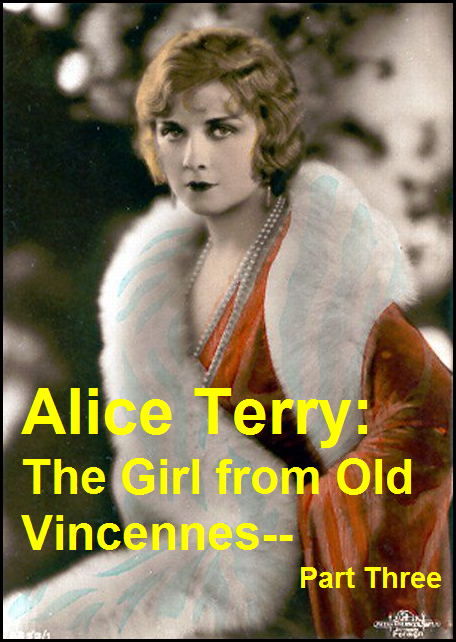 NEXT TIME, in the fourth and final installment, the story of Alice Terry’s life after her retirement from films. “Good pictures are always difficult to make,” Mervyn LeRoy once said. He should know because he produced or directed several including Tugboat Annie (1933), Madame Curie (1943) and the perennial favorite, The Wizard of Oz (1939). 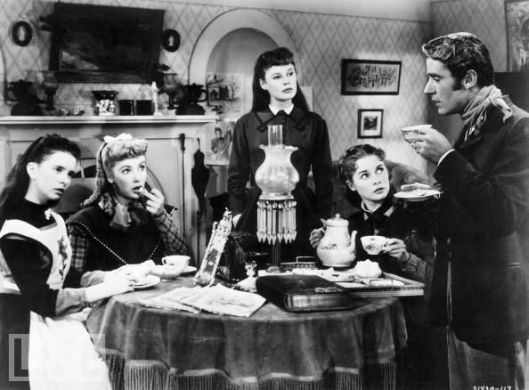 However, the one film he always wanted to make was an adaptation of Louisa May Alcott’s “Little Women.” It had been fourteen years since David O. Selznick produced the RKO version with Katherine Hepburn, so LeRoy persuaded Louis B. Mayer to buy the rights from him. Selznick had attempted to produce a Technicolor remake himself a few years earlier and planned to star his wife, Jennifer Jones. However, several postwar problems and a threatened craft workers’ strike forced him to abandon his plans. So when MGM bought the rights to the film, they also bought all the sets that Selznick had built. One night during production, LeRoy’s wife Kitty was reading some of the dialogue from the script when she began to cry. “I can’t finish this,” she told her husband. LeRoy chose some of the finest actresses at MGM to play the March sisters. 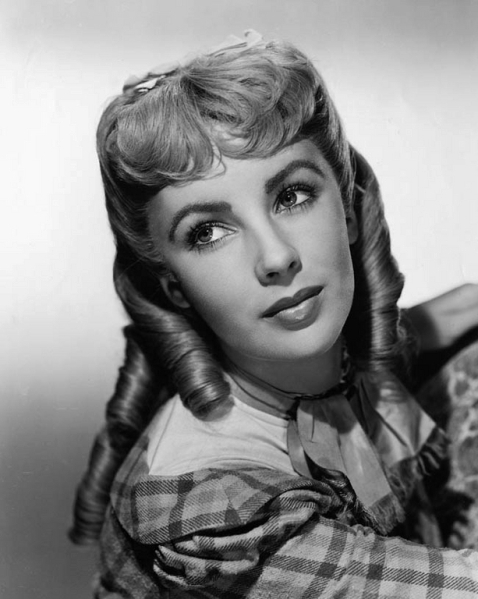 Each one had experience with big screen success: Elizabeth Taylor in National Velvet, June Allyson in The Stratton Story, Janet Leigh in The Forsythe Saga and Margaret O’Brien in The Secret Garden. 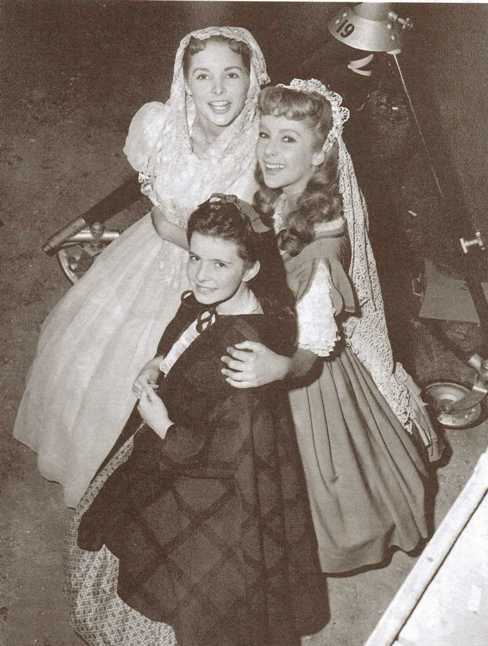 The four actresses became good friends on the set of Little Women. At lunch, they would go to the studio commissary together and gossip – mostly about Louis B. Mayer. Elizabeth detested him, but June admired the fact that he had risen from the ranks as a junk dealer to one of the most powerful moguls in the business. She would complain because the girls were always laughing and fooling around during every scene. She criticized Elizabeth for talking on the phone to Nicky Hilton (her future husband) all the time and became irritated when June snapped her gum. Her experience on Meet Me in St. Louis had not endeared her to Margaret and things had not changed. “Maggie O’Brien looked at me as though she were planning something very unpleasant,” Astor wrote. Eventually, everyone would pull themselves together and start the scene again. “Okay. I’ve got it now! I’ve got it now!” Peter would assure everyone. LeRoy would start at the very beginning and Peter would come through the door and say, “What have you done? 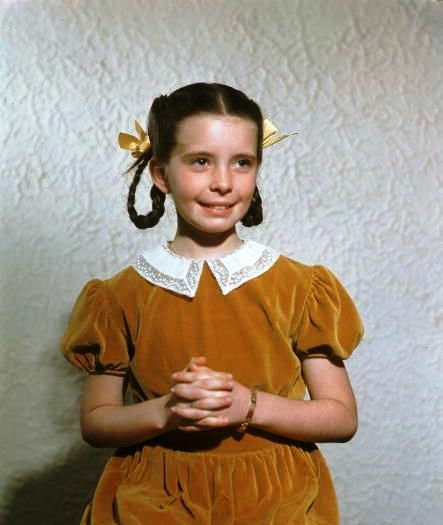 You look like a “porky-pine!” Of course, everyone doubled over with laughter again, except Mary. She had been standing there for some time and was beginning to feel ill from the hot lights and the heavy clothes. “I couldn’t say that I was ill,” she said. “I didn’t want the kind of attention that would have brought on.” As LeRoy began the scene once more, Mary had the first line and realized she could not remember what it was and stood there speechless. “I don’t know Merv,” was all she could say, which caused everyone to go to pieces again. June had the same problem – except she couldn’t stop crying. In the scene, Beth, who is dying from scarlet fever, comforts Jo and tells her not to be sad because she doesn’t mind dying. After the scene was finished, June continued crying and had to be sent home. “I got in my car still blubbering and continued to cry for hours,” June said. 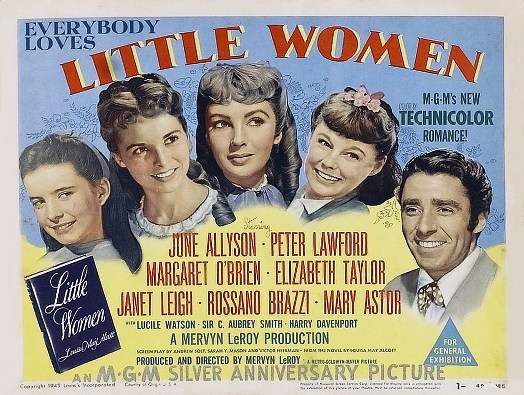 MGM premiered Little Women on March 10, 1949 at Radio City Music Hall for its opening film for their 25th Anniversary program. The film became a big money-maker that year earning 3.6 million for the studio. 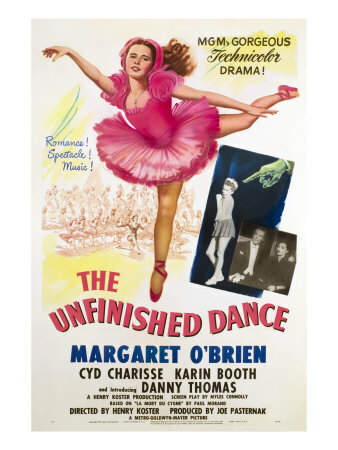 In their publicity, th studio mentioned that the film reunited four stars from Meet Me in St. Louis: Margaret O’Brien, Mary Astor, Leon Ames and Harry Davenport. Sadly, Little Women was the last film for veteran character actor C. Aubrey Smith, who died shortly after filming was completed. This would also be Elizabeth Taylor’s last adolescent part. Her next film, Conspirator (1950) with Robert Taylor, saw her in a more mature role. 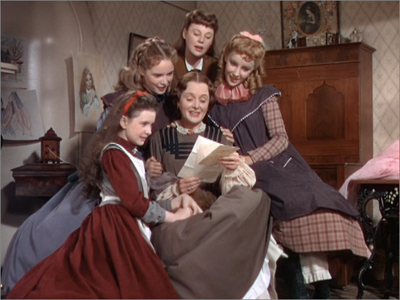 Little Women was nominated for two Academy Awards and won for Best Art Direction-Set Decoration, Color for Cedric Gibbons, Paul Groesse, Edwin B. Willis and Jack D. Moore. 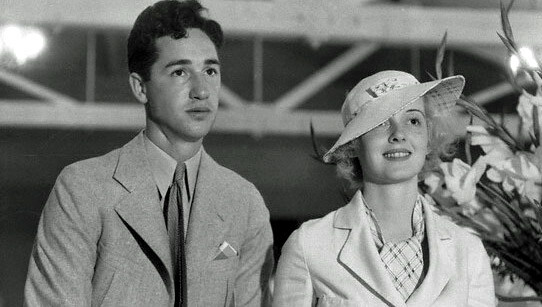 Actress Norma Shearer and MGM producer Irving Thalberg were married on September 29, 1927 at Thalberg’s home, 9419 Sunset Boulevard (this was previously the home of actress Pauline Frederick and at the time was 503 Sunset Blvd.). The marriage ceremony was attended by about fifty guests. The ceremony was performed by Rabbi Edgar Magnin in the garden beneath a canopy of chrysanthemums. Norma, who was dressed in a gown of ivory velvet, was given in marriage by her brother, Douglas Shearer. 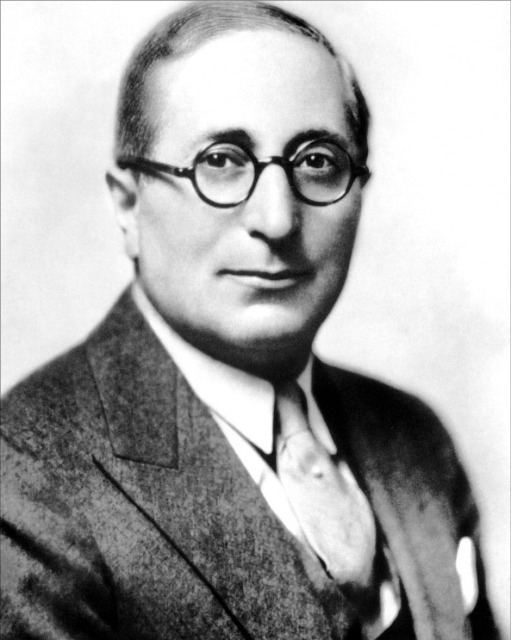 Louis B. Mayer acted as best man, while the maid of honor was Sylvia Thalberg, Irving’s sister. Instead of taking an immediate honeymoon, the couple postponed their trip until the following summer. “It is refreshing for an American actress to go to Europe because she is thought much younger than she is. Foreign women prefer to look chic rather than young. They are sophisticated at an earlier age. “Women in Monte Carlo do not really dress beautifully, at least not nowadays. They still have lovely jewels and their clothes are merely a background for those. But the Sporting Club at Monte Carlo lives entirely up to the movie sets. “The Riviera is delightful, and the Cornish Drive is the nearest thing to Hollywood I saw. But I must admit it’s more beautiful. “In Rome we went to the opening of one of our pictures, Tell It to the Marines. We thought we should dress up. So I put on my ermine coat and Irving wore his evening clothes. We expected to find a wonderful theater, but instead the house was down an alley and was a funny old place. We found out that in Italy it is only the middle and lower classes who go to pictures. The management presented me with some lovely roses and we were placed in a box. At the end of the first reel the lights went up, as they do after every reel over there, and people began waving to each other, whistling and eating. “They caught sight of me all done up in ermine, and I suppose they thought I was some one they should applaud. So they did. I got a great thrill out of it. I was awfully fussed, and whenever I get fussed before an audience, I always kiss my husband. That always is a good piece of business to cut to! Irving gave the crowd the Fascistic salute and it went great. “In Algiers, thanks to a certain guide, we viewed some places seldom seen by tourists. We were supposed to be met by a courier and he planned to get there when we did, but we were a day ahead of time, and we had only a day and half, so we missed him. We got into a taxi and told the driver to take us somewhere. We finally discovered that he was going round and round the same square. The day was slipping by, and we were very discouraged. Finally up came a greasy, thoroughly disreputable looking fellow, who said he was a guide. Our driver had been told not to trust us to anyone. He told us the man was a thief and a villain. But Irving is not to be downed by difficulties. He said the he would take a chance. After driving up to a remote part of the town, the guide said for us to get out of the car, and he told the driver to go away and meet us later at a certain place. “I was sure we were going to be cracked over the head, and I was terrified every minute as we walked down the streets that were streaming with filth. “The guide asked us if we wanted to see a Spanish dance. I don’t know what the Spaniards would think of that dance! We were taken up into a little room decorated brightly in cheap Moorish mosaic imitations and colors. Six girls were dancing. I thought Spanish dancers wore a great many clothes. I still think so. But these girls didn’t. They wore indeed very, very little and that little consisted entirely of – what do you think? – silk stockings! “Then we went into a gambling place where the Algerian sheiks were playing for money. These sheiks weren’t at all good looking. Their faces were seamed and weather beaten. Their eyes were wild and fierce looking. Their supposedly white clothes were dirty and bedraggled. Arab princes of the desert may be better looking. “All the time I had been devoured by fear. “Finally we started home, and we found our driver just where our guide had told him to be. Today is the 40th anniversary of the death of silent film actor, Ramon Novarro. In remembrance of him, the following is a brief account of how he received the role of Ben-Hur. When actor George Walsh was cast to play the title role in the Goldwyn production of Ben-Hur, Ramon Novarro was devastated. He wanted to play the part so much he could taste it. But when the studios of Metro, Goldwyn, and Mayer merged and Ben-Hur’s director, screenwriter, and Walsh himself were sent packing, Ramon didn’t allow himself the luxury of thinking he had a second chance. That all changed one Sunday afternoon in June when MGM production chief Irving Thalberg called Novarro at his home. He told the actor he had something important to discuss with him and asked that he report to the studio immediately. Novarro drove to Culver City and went to Thalberg’s office, where the “Boy Wonder” got right to the point, asking the 25-year-old actor if he would like to play Ben-Hur. Ramon was, of course, both shocked and delighted and replied that he would. 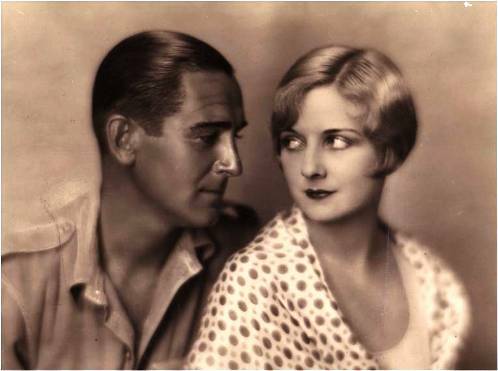 But Thalberg had one request – that Novarro make a screen test. Putting his entire future on the line, Ramon refused the youthful mogul. “Why not?” Thalberg demanded. Ramon reasoned that Thalberg was concerned about his physique and explained that his body was in good shape. If he had any doubts, all he had to do was screen his recent film, Where the Pavement Ends, throughout which Ramon is half-naked. Thalberg smiled and agreed, respecting Ramon’s bluntness and honesty. He then instructed him to keep his casting a secret for now. He would be leaving for New York the next day, and no one must know. Novarro was on top of the world. His dream was at last coming true; the role of a lifetime belong to him. 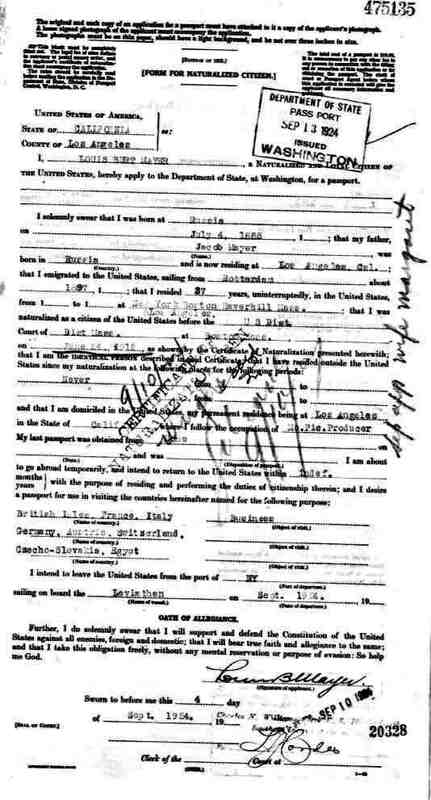 The following morning a studio limo picked up Novarro at his home and whisked him to the Pasadena train station. Waiting there were MGM mogul Louis B. Mayer, writers Carey Wilson and Bess Meredyth, attorney J. Robert Rubin and his wife Reba, director Fred Niblo and his wife, actress Enid Bennett, and Photoplay correspondent Herb Howe. In New York, the group was greeted by Marcus Loew, head of MGM. Loew told Ramon to answer all reporter inquiries with the explanation that he was going on vacation. Just as Loew had predicted, reporters were at the dock, questioning everyone. They were naturally suspicious as to why so many MGM employees were traveling to Europe. Fred Niblo fibbed a little, saying he was going to shoot some French exteriors for his recent film with Novarro called The Red Lily and then go on to Monte Carlo to begin his next picture with Norma Talmadge. The night before, director Marshall Neilan and wife, actress Blanche Sweet, sailed for France on the Olympic to make The Sporting Venus. The reporters knew the problems that the studio was having in Italy on the set of Ben-Hur, and that only fueled more rumors that either Neilan or Niblo was going to take over director’s duties from Charles Brabin. After Ramon received farewell telegrams from Thalberg and actress and close friend Barbara La Marr, the ship pulled up anchor and made its way to Europe. As the ship passed the Statue of Liberty, Novarro may have stared at the beautiful lady in the harbor and pondered his future, and the events which led to this, the crossroads of his life.